This is Anacapa Island, viewed from the west with the California coastline visible in the distance. 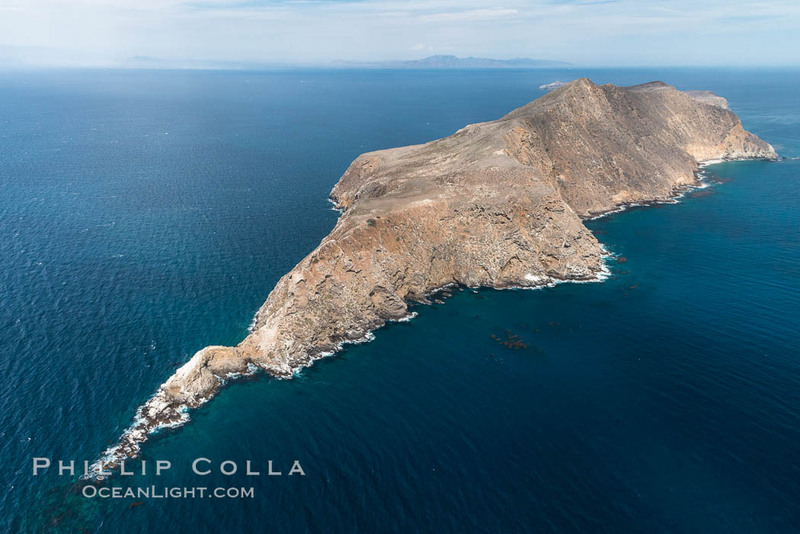 Anacapa Island is composed of three islets stretching about 6 miles long, located 11 miles off the coast. West Anacapa, seen here, is the highest of the three reaching an altitude of 930′ above the sea. Anacapa Island is part of California’s “Channel Islands” and is one of the five islands in Channel Islands National Park. This image was made during an aerial whale survey of the Channel Islands.